Retire on a cruise ship and travel the world without ever leaving your home. It's where paying airfare and hotel accommodations are a thing of the past. Wouldn’t you prefer to live on a cruise ship instead of a retirement home? The cost is comparable and a heck of a lot more fun. There are several options for retiring on a cruise ship. You can choose to own a cruise ship condo or opt for a vacation ownership program if you prefer. You could even incorporate your frequent flyer miles into an on-going retirement cruise. The choice is yours. Living on a cruise ship is a new concept for baby boomers seeking a stimulating retirement in a warm climate. You can retire on the water, with the ability to savor different ports of call at the same time. Incorporate your frequent flyer miles into an on-going retirement cruise. Cruise on a regular basis by booking one cruise after another as you go. The cost would be about $5000 a month. This includes free meals, housekeeping, and laundry service. No need to cook or clean bathrooms. Even your linen and bedsheets will be changed. Couple this with glorious ports of call and you'll wonder, "Why didn't I think of this sooner?" Retire on a cruise ship and discover new destinations in your own backyard. And with a digital camera and a laptop, you can write about it. And even make a career out of it. What could be better than getting paid to travel to a stretch of sandy beach and turquoise waters? Wrap your wallet in a rubber band to avoid pickpockets. Use these cruise packing tips to avoid ruining your trip. Life onboard a cruise ship is very relaxed. So pack with comfort in mind. Remember to pack sea sickness medications, sun block, and antacids. Here is a cruise packing list guaranteed to avoid headaches and ensure a fabulous stay. Always check with first time cruise tips for vital strategies when going on that cruise vacation...Including what you must bring in your carry-on. Retire on a Cruise Ship or Retirement Home? Other options are now popping up where you can actually buy your spot on a cruise ship as you would a condo. For the price of a regular condo, you can retire on a cruise ship instead of an independent living facility. Some ships offer the option to rent your cruise ship unit. Until you are ready to take on the thrills of living on a cruise ship full time. The idea of a floating retirement ship was too costly and unreachable for many retirees until recently. Now you can own your home and retire on a cruise ship where the scenery changes constantly. It is a great retirement option in order to see and experience the world. Regular cruise ship travel amenities are available on cruise ship condos. These include spas, gyms, libraries, night clubs and gift shops. There are no condo fees or property taxes. You pay for what you use. All your cruise expenses are covered except for cocktails, spa fees, casino charges and whatever you purchase at the gift shop. Just like if it was a regular cruise except you don’t have to go back home. Home is on the ship. Retirement on a cruise ship is an affordable way to live on the water and travel at the same time. Some retirement cruise ships offer permanent membership at a nearby country club for free. Others offer fractional ownership such as a time share instead of buying the unit outright. Even if you retire on a cruise ship, family and friends can still visit. And stay in one of several guest rooms available for visitors...For free. Medium-sized cruise ships are now being converted into luxury cruise ships for those that have a little more money in their pockets. And desire a more lavish lifestyle at sea. Higher end cruise ship condos come with kitchenettes and a larger stateroom. These are considered residential cruise ships and come in different sizes--From small studios to penthouse suites. Conduct business, savor different destinations, and visit nearly every port of call in the world. These cruise ship condos normally spend three to five days in each port. Enjoy breathtaking seaports in Europe as well as Central and South America. Whether you retire on a cruise ship or overseas, you still must pay taxes. If you receive a social security check, you must file a tax return. This does not always mean you have to pay taxes to Uncle Sam. It all depends on your adjusted gross income. Always look for retirement places where tourists are regular visitors. When investing during retirement search for a stable government and signs of foreign investment. Find out more about these and other strategies here. If you retire on a cruise ship, you will want to get the most that you can out of every port of call. See below for tips on how to get around Europe safely and simply. Pickpocketing is commonplace overseas. These scam artists come in many forms, including small children. They are good at distracting you and taking your wallet before you realize what happened. Wear a money belt when traveling. Store essentials such as passport, driver’s license, ATM and credit cards, plane ticket, and rail pass. When you retire on a cruise ship, the opportunities for visiting your dream countries become reality. Italy has been a favorite destination for most of us. Check below for specifics on everything from climate to festival dates before heading out. You can retire on a cruise ship and split your time between experiencing the world's oceans and the quintessential lifestyle of Italy as well. Can you imagine retiring in Italy to the land of breathtaking landscapes and olive groves? Like anywhere, living in the center of Italy's major cities is expensive. Instead, seek out smaller towns where affordable living is just a short train ride away from most metropolitan areas.Why not retire on a cruise ship AND split your time between experiencing the world's oceans and the quintessential lifestyle of Italy? 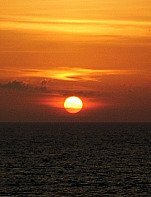 Review recommendations here if you plan to travel or retire in Costa Rica. 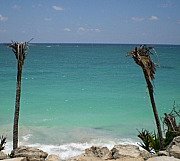 Find travel information here for traveling to or retiring in Panama. 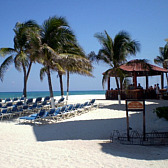 Travel recommendations are posted here for travel ideas in Belize. You can also share your own recommendations and experiences. Strategies for cheap travel abroad include choosing a bed and breakfast or hostel over the more expensive hotels. They much more affordable easy to find in Europe and South America. This is by no means your typical retirement. And that's a good thing. If you want to savor what other shores have to offer without the need to constantly pack and unpack, then retire on a cruise ship. Where all your needs are met and retirement is a never-ending vacation.